Baseball Manitoba is proud to present its 2018 Awards Banquet honoring our best coaches, officials, players, teams, volunteers, and honorary members for their performances and/or contributions to the sport of baseball. We invite all coaches, umpires, league presidents, regional directors, and executive members to nominate those individuals who deserve recognition for their performance over the past year. All nominees must be affiliated with the Baseball Manitoba. The Awards Committee reviews the applications and selects the most deserving nominee in each category. There is no limit on the number of times an individual can be nominated. The more information the committee receives, the better they can assess your nominee. Supporting letters from minor ball associations and club members are helpful to the committee. Clubs submitting applications are encouraged to add any extra biographical information on separate documents. Any member of the Baseball Manitoba may submit nominations. October 27, 2018 at the Holiday Inn - Airport West in Winnipeg. The formal program will begin at 6:30pm with cocktails at 5:30pm. Special Guests for the evening include former Canadian MLB stars Corey Koskie and Jason Dickson. Corey Koskie will be the guest speaker for the evening. Perhaps the greatest player ever to hail from Manitoba, Corey grew up in Anola and went on to have great career in the Major Leagues which lasted almost 10 years. He played for Minnesota, Toronto and Milwaukee with his greatest season coming in 2001 hitting 26 home runs and amassing 103 RBIs. Corey has spent his post MLB career in Minnesota working in the fitness and high performance sport industry, focusing on promoting healthy habits in amateur sport. 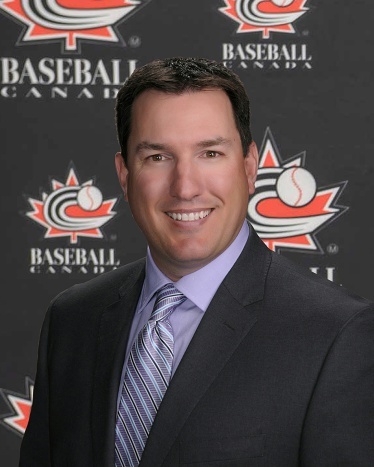 Jason Dickson is a native of Miramichi, New Brunswick and the current President of Baseball Canada. He was drafted in 1994 in the 6th round by the California Angels, where he spent all of his 4 MLB seasons. In his best season, 1997, he finished with 13 Wins and appeared in the All-Star Game. Jason was also a member of Canadian National Team at the 2004 Olympics. The group code for booking over night rooms at the Holiday Inn Airport West is K7L. Please mention this code when booking to receive the Baseball Manitoba rate. NOTE: Due to the scope and time limitations, the Awards Committee will limit recognition at the Banquet only to those selected as the winners in each category. Those nominated and not selected will be notified of their nomination by email.